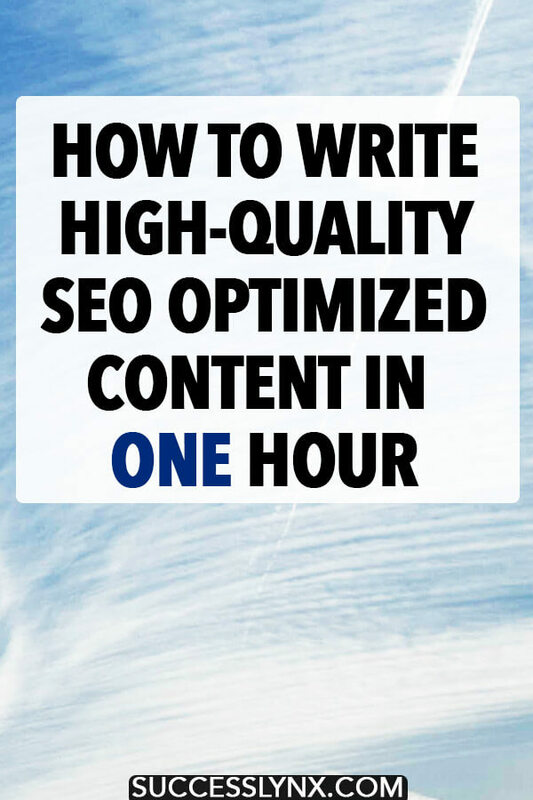 One of the hardest things for many clients of mine and fellow bloggers is creating high-quality SEO optimized content in a reasonable amount of time. Whether you work full-time or blog full-time, content creation isn’t something to laugh at, especially if you want to create something that is optimized for search engines. As someone who creates 5-7 posts weekly, I understand the struggle and I hope that this post helps you speed up your process of writing SEO optimized content. Creating fresh content is a cornerstone of my SEO strategy. I used to take ALL day to write posts, but through necessity, I realized that I couldn’t spend all day writing one post. It’s good to get a good idea on how long it takes you on average to write something that is 1,000 words. It used to take me six hours to write and format SEO optimized content. One of the hardest hurdles for me was getting over obsessing over my writing. I’m talking about the paralyzing fear of what if my writing isn’t complete enough or I left something out. You can always add or edit your post later. My goal within this post is to teach you how to create 95% of your content within an hour. You can add a cherry on top later. Something that I recommend is thinking through what can I write now that will be easy. I understand that you don’t always have a choice due to deadlines or external pressure. If you do have the flexibility to choose what you write, I recommend keeping a content calendar to easily be able to browse your ideas and what is most relevant for you SEO-wise given seasonality. This becomes more important as some things take forever to write. Whether it’s a mental block or you just find the topic incredibly boring, it’s sometimes best to skip to another topic that is easier to write about and/or move the steps (discussed) around. Sometimes, I’ll format my images before the post is even realized and/or create a Pinterest graphic as I know that I want to write something, but I’m not feeling inspired to write. If you’re not a fast typer, I recommend investing in a touch typing software. I took a course in middle school and I am so thankful that I took it as it makes it so much easier to type faster as I don’t need to look at the keyboard. You will not write high-quality SEO optimized content within a short amount of time if you aren’t sure what you’re writing about. It’s good to nail down your topic as much as possible. It’s generally easier to write about topics that you’ve already researched and/or you’re very knowledgable about as they require little effort. Give yourself a chance to think through if more specialized content will do better than general content on your topic in terms of SEO. Generally, this is the case as general keywords tend to be overly broad while more specific ones tend to be easier. You’ll want to think about the most basic keyword that people would use to search about your topic. If you have no idea where to start, I recommend thinking about the words “how to”, “why”, “visit”, and “tips” combined with your keyword. See if that brings you success! I sometimes just put into google what I’m thinking to double check that people actually would search for my idea of a keyword. Check Keysearch for keyword quantities. Put a timer on to limit yourself to fifteen minutes. From here, enter Keysearch (or your keyword research tool) to search for your keywords. Put a timer on. Limit yourself to ones directly relevant to your topic. Don’t go down the rabbit hole. Just check that you’re looking at keywords that are realistic for you and/or relevant to the topic. Irrelevant keywords don’t help you. Head back to your platform to write your title. Your title doesn’t need to be perfect, but write a title that includes your keyword in some form. Similarly, update the URL to include something shorter (less than 4 words ideally) something involving your keyword and topic. (It makes it harder for people to see that your content is relevant while previewing it on social media if you don’t do this.) You can always update this before publishing! From here, start thinking about your sections that are relevant to the topic. Use the headers to smartly format your thoughts. I generally recommend starting off general prior to diving into the details while using subheaders to further dive into a topic. I usually aim for 10 headers if I’m writing something that is 800-1000 words as I’ll typically write 100 words per header. I also find that headers allow me to think through what should come next and if something is logical. You might find while doing headers that certain things are not relevant, which are fine, but it will make it easier to write what you want. Simiarly, headers are a great way to integrate keywords. As a reminder, good SEO writing shouldn’t be painful to read. Don’t overuse keywords for the sake of it as inserting keywords endlessly also makes it harder to write. I find that relying more on what I think should be included and trying to vary up my language to avoid repetitive phrases is also helpful for including keywords without thinking about it. A good SEO optimized article discusses a topic well and might touch on some related topics. That said, you don’t need to use that keyword a million times. I’m a native English speaker, but I swear by Grammarly. I love being able to quickly scan my text for mistakes, which can look bad to clients and readers. If you don’t have the money for an editor, it usually takes 5 minutes to go through your writing to check it for grammar/spelling. I still make mistakes, but it’s less egregicious now. If you intend to use any images, open up Photoshop and quickly choose from your top 5-10 photos. I like to do this after I have my headers set up, so I have an idea of what topics I will discuss in my post and what images might be applicable. A lot of people obsess over which photos to include, but you do not need 30+ photos to illustrate your point if you’re writing SEO optimized content. 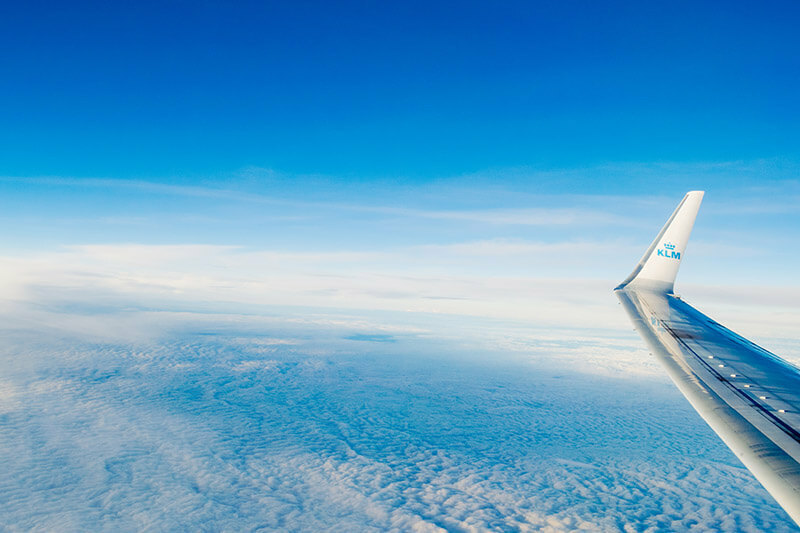 Just one nice image every few headers should be enough. Fewer images will help your website load faster. I like to place relevant images in a folder prior to culling images that aren’t necessary. From here, I’ll quickly open up Photoshop to create a Pinterest-sized image and/or a square image from the best images from the folder. I have 2-5 templates for Pinterest-sized pins and usually try to limit my time playing around in Photoshop to ten minutes. As an extra step, I generally run my images through TinyPNG despite having an image compression tool to reduce the image size prior to uploading any image to my website. This is easy, however, you’ll want to insert your newly resized images into your post! Be sure to add alt text to your images to describe your images to ensure they’re user-friendly for those with disabilities as well as Google Images friendly. Add your introduction and update your SEO meta description to match the content. From here, your post will look almost done. I usually wait to write the introduction as I want to ensure that the introduction matches the content. I find that writing the introduction when I have no idea what I’m writing about makes writing move so much slower. Similarly, you’ll want to wait on writing your SEO meta description until the end as you want to ensure that your chosen keywords match what you ended up writing. Any other tips and tricks for creating SEO optimized content more easily? If I wrote my process down, it would be almost exactly the same. One big game changer for me was learning how to use Adobe Lightroom. For minor light adjustments and tweaks on photos, then exporting the photos at a specific size and resolution with a watermark is sooo much faster than Photoshop (even though I had templates set up). You can bulk edit and export, rather than opening each individual pic.